A giraffe has died after smashing its head into a low overpass while it was being transported in a truck with its head sticking out along a highway in South Africa. 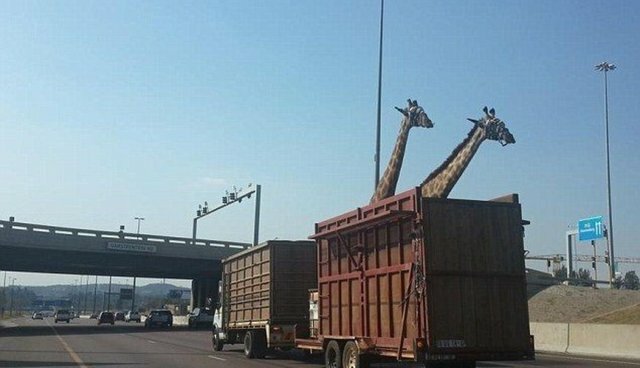 Earlier during the day, several passengers traveling on Pretoria's busy N1 highway reported seeing two giraffes transported in an open truck, with many passengers posting Tweets and Instagram photos. Moments before the accident, a twitter user took the photo of the two giraffes dangerously approaching a low overpass leading to anxious web reactions on the fate of them.